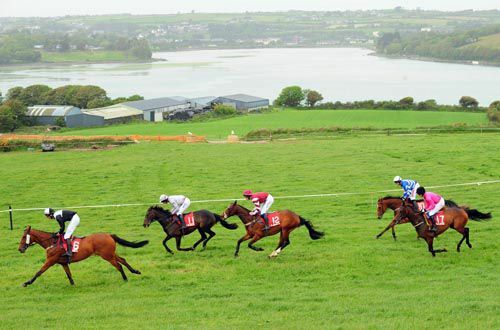 Banksanditches & Aaron Murphy crash out in the 5yo gelding maiden also at Inchidoney. 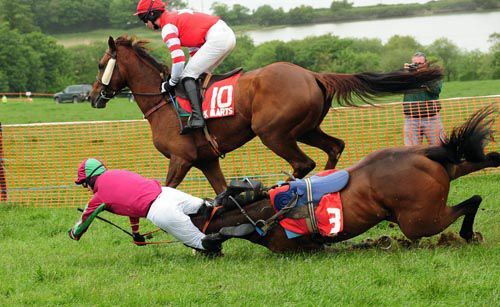 Thankfully both horse and rider were none the worse. 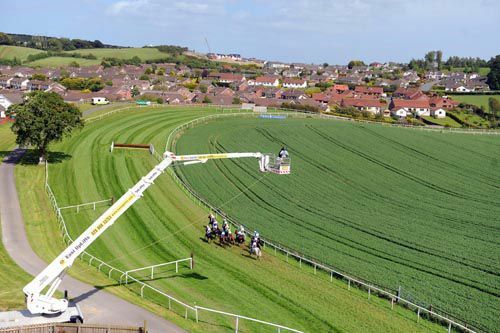 A panoramic view of Downpatrick as runners in the race won by Brega Queen head away from the stands. 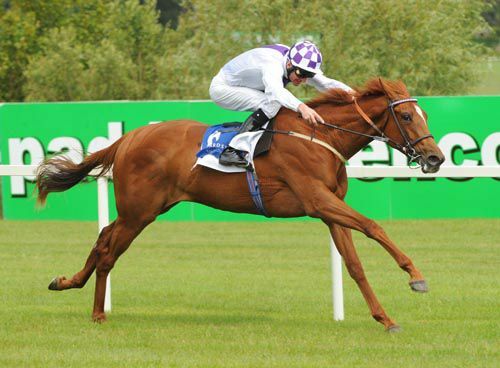 The sky's the limit for Teolane, after she ran out a convincing winner of the 2yo maiden for Kevin Manning & Jim Bolger. 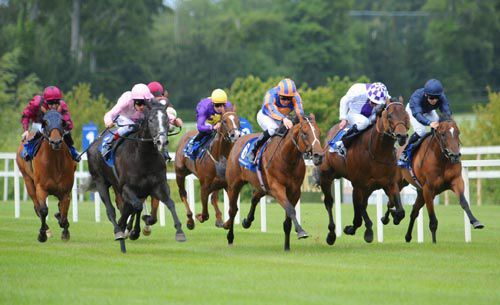 Bewitched & Johnny Murtagh (light pink silks) swoop late to take the Group 3 Ballycorus Stakes. 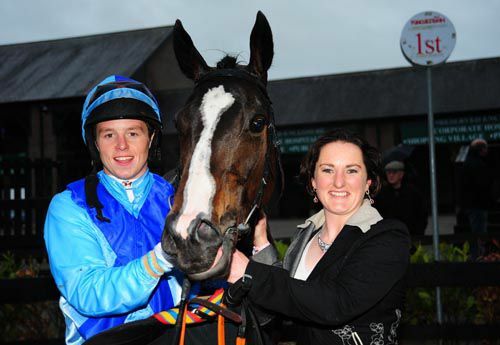 Mossey Joe underlined his star potential at Cork on Friday with a bloodless victory with Barry Geraghty in the saddle. 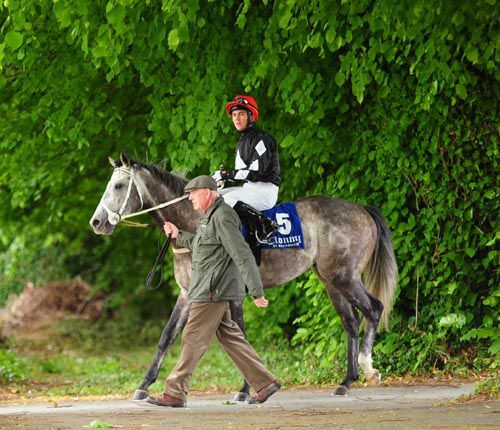 Porthaw & Gary Carroll are led back into the parade ring after winning the second race at Clonmel on Thursday for trainer Paul Magnier. 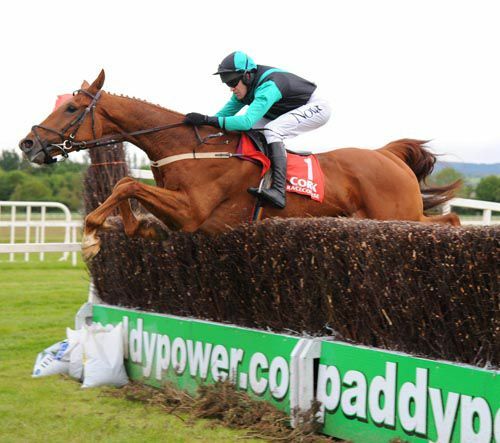 Bouillabaisse who took the bumper at Punchestown on Wednesday provided trainer Catriona Muldoon with her first racecourse winner. Gerry Mangan who rode the filly is also pictured. 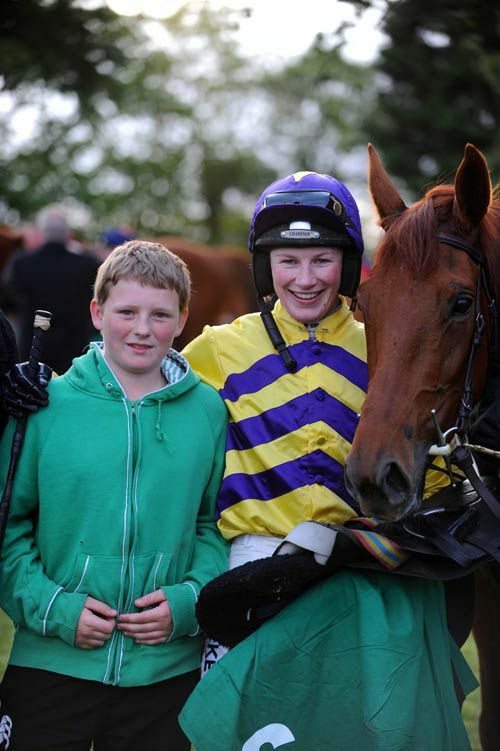 Stephen Kelly, son of the trainer Noel, gets in for a photo with Nina Carberry after she guided Charlie's Vic to win the bumper at Sligo on Monday last. 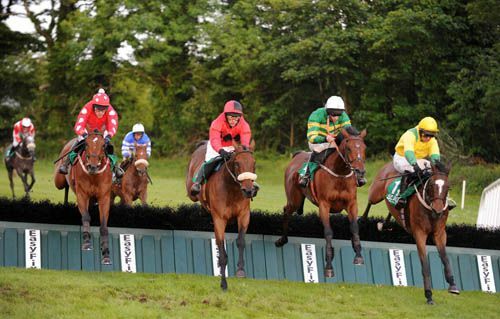 From left to right; William Wordsworth, Kaprun, Double Seven & Tin Town Boy jump the last together at Sligo, with the latter coming out on top at the line.